Governor Greg Abbott has asked me to author legislation that will create the Texas Commission on Public School Finance which will begin to rebuild our outdated school finance system. This is one of the twenty priority items previously announced by Governor Abbott on the special session agenda that convenes July 18. My hope is to provide property tax relief while adequately funding education. While there have been many laudable attempts to address our broken school finance system, we’ve yet to reach consensus in the Legislature and enact real, substantive solutions into law. The problem is simply too complex, which is why we need a state commission–with representatives of the Governor and legislative leadership–to thoroughly study the issues, seek input from a wide array of stakeholders, and build consensus over the interim. 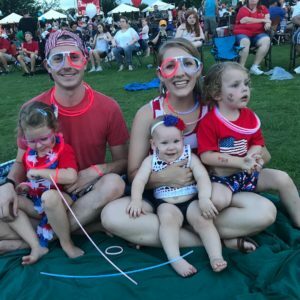 I hope everyone had a great 4th of July with family and friends. 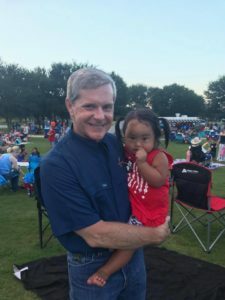 Terry and I attended the Boomin’ 4th Fireworks Show with several of our kids and grandkids.